A screencast is a narrated explanation of activity on a computer screen, usually to explain how to perform a particular task in a computer program or on a website. You can create screencasts with many different software tools and Web services. But the video quality and frames differs with the program used. Here I am going to explain the Best way to record your Screen including best settings. Extract the file CamStudio.2.5.b1.bin.zip to a specified folder. Install K-Lite Mega Codec Pack. 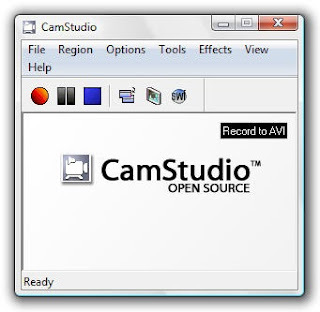 Run Recorder.exe from Camstudio Folder. Go to Region => Fixed Region... and set the width to 854 and height to 480 and select Drag Corners to Pan, and click Ok.
Go to Options => Enable Autopan. To start recording click RECORD or press F8. TY iDOL ...try ko to sa camfrog ...maka pag record nga! I'd suggest Camtasia 8 . sir.